Kalanchoes are a popular house plant, easy to care for and come in a rainbow of colours. 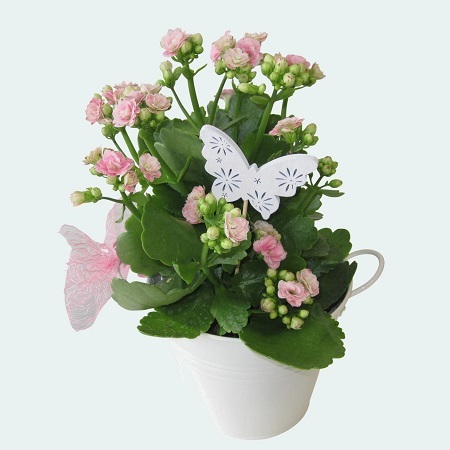 Your plant will be presented in a tin with a cute wooden keepsake butterfly, making it a lovely wee gift for all occasions. Please tell us in the Notes to Florist section of your order if you have a colour preference.